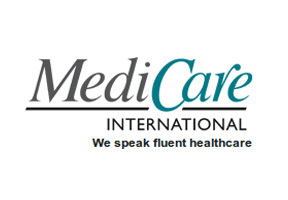 MediCare International provide international medical insurance for expatriates and their families. They can provide cover for almost any nationality, working in almost any country in the world. They also cover most local nationals living and working in their home country. 20 years of experience has meant that MediCare know the needs of the expatriate market and you can be sure to receive simple, quick access to the best healthcare facilities worldwide. Wherever you want them and whenever you want them, MediCare will provide you with comprehensive cover including dental treatment and maternity care. Contact our consultants for free advice or quote. MediCare policies do not only cover you for the emergencies, reassuringly they provide everyday help too. Major benefits of MediCares’ plans include the freedom to choose where you are treated if you become sick, anywhere in the world. Travel costs for this service will also be covered, as long as it is agreed in advance by the MediCare 24 hour Assistance Team. They also have a very fast claims settlement process, aiming to have all claims settled and reimbursed within 10 days, making them one of the fastest medical insurance companies in the market. Please follow the link for a summary of client’s experiences.